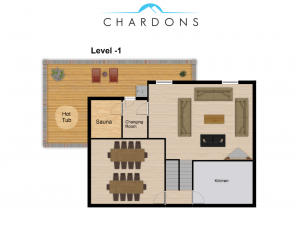 Chardons Boubou Plus is a newly renovated ski chalet in Tignes Les Brévières. High quality and tasteful accommodation featuring vaulted ceiling design with plenty of wooden beams and local stone used in the construction. Well-appointed bedrooms all with private shower rooms with WC, some benefiting from outstanding views of the mountains. Excellent facilities including a relaxing spa area with panoramic hot tub on the balcony perfect for après-ski drinks to soak away the day’s skiing efforts and inside sauna. The chalet also benefits from all mod cons including WiFi, satellite freeview TV & games console. The chalet is located in the ‘Hauts des Brévières’ area and is a short walk to both the village centre and the ski lifts. Direct access to the slopes is via the new Brévières Chalet Lift right at the end of the road only 50 metres away. 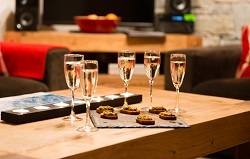 As with all our accommodation the chalet is great value and offers skiing and snowboarding enthusiasts a top-quality chalet holiday at an unbeatable price. 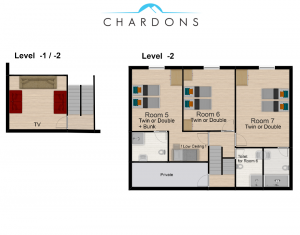 Chardons Boubou Plus is laid out over four split floors with plenty of wooden beams and local stone on display. The spacious living area has an open fire, tasteful furniture and access to a south-facing balcony overlooking the village and lake. The separate dining room is tastefully decorated with ample room for everybody to eat together. The spa area features a full wet-area with shower, sauna and the outdoor hot-tub which, again, enjoys views over the village and lake. 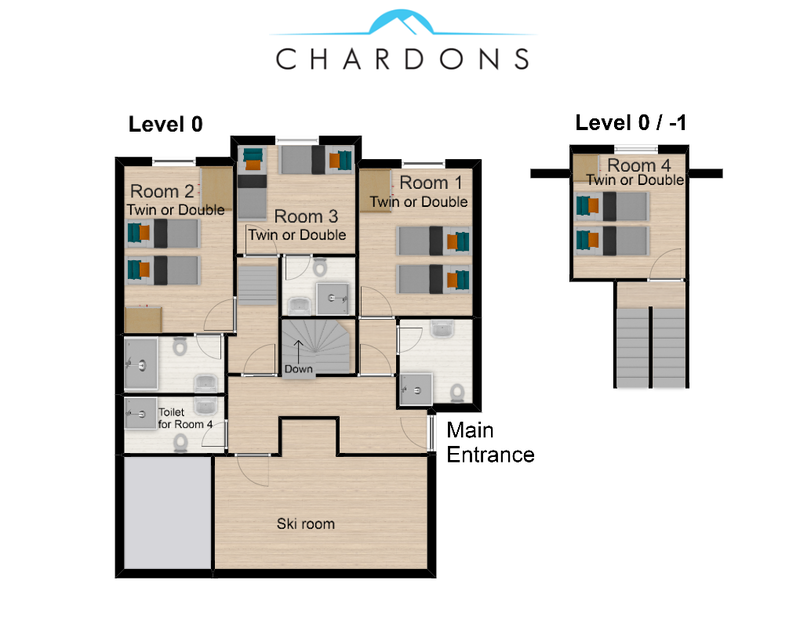 The ground floor has 2 twin/double bedrooms and 1 family bedroom (a twin/double with bunk in same room) all with private shower room facilities. The first and second floor above the dining and living areas has a further four twin/double bedrooms, all with private shower rooms. 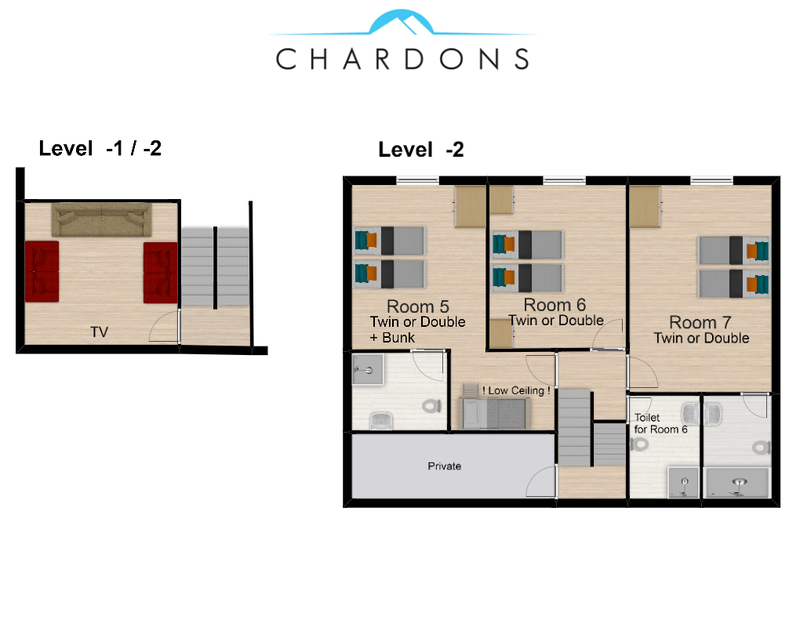 All bedrooms can be configured as twin/double rooms. All shower rooms have been fully and beautifully renovated, all have a WC, local stone basins, hand crafted vanity cabinet with large mirror, heated towel rail, rain shower fittings and a number benefit from double sized walk-in shower enclosures. The chalet sleeps up to 16 people. 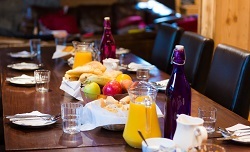 If the whole chalet is booked by one group, the 16th bed is free of charge. 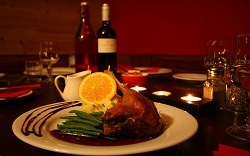 The chalet is run and catered by our experienced staff – your chef and host. As with all Chalet Chardons clients you will benefit from unbeatable deals on your ski and snowboard hire as well as airport transfers. Additionally we will arrange your ski passes to be ready on arrival. 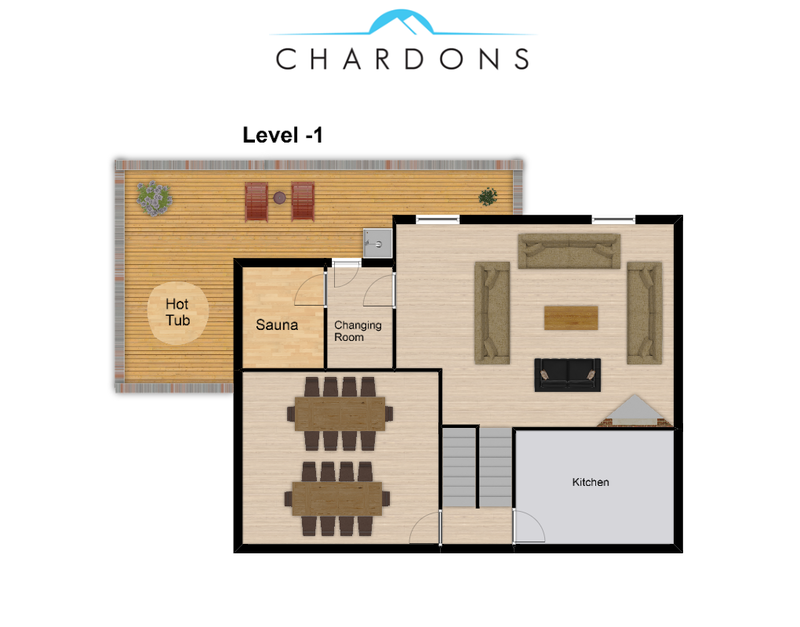 Chardons Boubou Plus is available for rent either exclusively for larger groups or on a room-by-room basis. 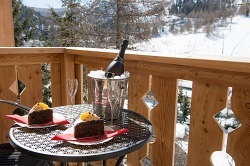 Our prices listed are per person per week for catered accommodation in the chalet. Prices vary according to the season, contact the UK booking line or by email for a quote. I have been fortunate to book a number of catered chalets in my time for my family & friends and I have to say that I think I have finally found the perfect spot in Tignes with Chalet Bou Bou and the exceptional staff at Chardons. My sincere thanks to our amazing hosts Emily & Bella and to Kyle our fantastic chef who have made the last week something to treasure. I can also highly recommend the use of Tignes Spirit for your equipment rental these guys come direct to the chalet to fit your kit, again a service worth every penny, you really must try it. Also to the Chardons team who helped with all of the upfront questions and booking information, Emma & Holly than you so much. 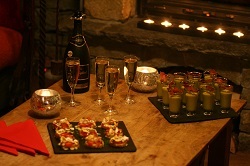 If you are looking for a catered chalet with exceptional services look no further than Chalet Chardons in Tignes!! Chalet Boubou has got to be the most homely and welcoming Ski Chalet I have ever stayed in, add to this the views, location and the friendliness of the staff it was pure bliss. 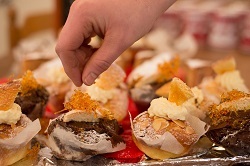 The food deserves a special compliment, the variety and freshness was superb, I loved the home baked cakes for afternoon tea, the wine was of good quality and plentiful , the coffee wonderful. Perhaps a few less stodgy desserts, or a lighter option. The Chalet is also clean, warm and there is plenty of hot water all the time ? I will definitely go back. Chalet boubou was fantastic, warm, very clean and comfortable. Beds cosy and pillows perfect! Food UNBELIEVABLE, Kyle is a talented chef with a lovely presence around the house. Such a treat to have someone else think about the menu and turn out non stop fantastic food. And the cakes are to die for! Emily and Bella were fantastic hosts, who answered our never ending questions and made us feel so welcome and looked after - thank you so much! I would highly recommend this chalet. We went on our first ever ski trip in our 50s with our son’s parents-in-laws, who are accomplished skiers. We had nothing to compare the trip to but all the same we were amazed at the comfort, the quality and quantity of the food, the attention and friendliness of the chalet hosts and the beauty and conditions of the Tignes ski area. The small town of Tignes les Brevieres is very quaint and friendly though the bars and restaurants are very expensive. One final word on the chalet hosts, Emily and Bella and the chef Kyle. They really made the difference between a good holiday and a really memorable one. Thanks guys! 4 of us spent a week in this great chalet. We felt very spoilt with 2 meals a day ( wow, what standards of food) and canapés with Prosecco. Anything we needed was provided with a smile. Great food, great hot tub and sauna, picnics provided on request. Really, STAY HERE! It was great that the company also swept the stairs down to the village so you could travel safely in the evening after the local ‘bubble’ lift to the village closed. Thanks guys for looking after us so well , especially as one of the party came down very poorly.